Water treatment company Xylem agreed to pay $1.7 billion in cash to buy metering provider Sensus this week. 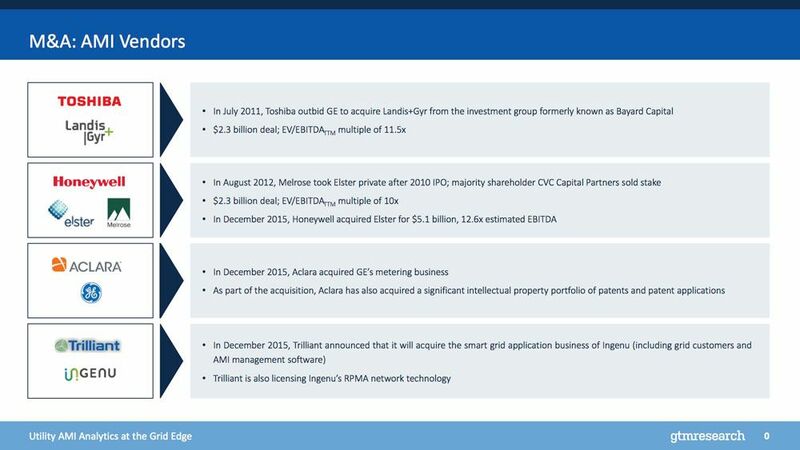 Sensus is the latest in a string of smart meter acquisitions. Last year, Honeywell bought metering giant Elster for more than $5 billion from Melrose Industries. Sensus had $837 million in revenue and $159 million in EBITDA in its last fiscal year. The sale price is 10.7x Sensus’ adjusted EBITDA, and Xylem expects at least $50 million in annual synergies starting in 2017. "Sensus' private equity owners have been shopping the firm around for some time. It is good to see the company finally find a permanent home,” said Ben Kellison, director of grid research at GTM Research. “Having a water player pick up the firm is a bit reminiscent of the 2015 Honeywell/Elster acquisition, where Honeywell was particularly interested in Elster's position in natural-gas metering rather than electrical metering. A 10.7x multiplier is not bad, but it is significantly lower than Elster's 12.6x multiplier last year, and lower still than Landis+Gyr's 11.5x multiplier." Xylem operates in 150 countries providing water technologies including water pumps, treatment solutions, and analytics for public, commercial and industrial, and agricultural applications. In 2015, the company had revenue of $3.7 billion. As with the Honeywell/Elster acquisition, Xylem bought Sensus to have a smart metering offering in emerging markets, as well as to provide complementary products to other parts of the business. For Honeywell and Elster, their gas businesses were complementary, whereas Sensus and Xylem have overlap in water markets. “Our expansive customer relationships will be able to extend the reach of Sensus’ products and technologies to new markets globally,” Patrick Decker, Xylem president and CEO, said in a statement. The company is poised for growth in the Asia-Pacific region in particular, driven by the growing water pump market. The past five years have shown that it is very difficult for metering companies to compete on their own. The acquisitions began in 2011, when Toshiba paid $2.3 billion for Landis+Gyr. And sometimes, even as part of a larger conglomerate, they’re still not attractive. 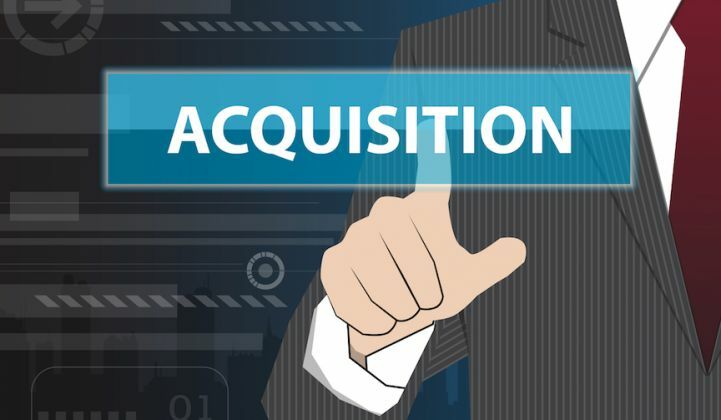 Aclara purchased General Electric’s electric-metering business in late 2015, even as GE was about to close the largest smart metering contract in years in North America with Consolidated Edison. The electric metering business has been slow in recent years, particularly in North America and Europe, but it is picking up somewhat in the U.S. as New York and Massachusetts distribution utilities look to roll out smart meters. For Xylem, having a metering business will allow it to serve water utilities more holistically, especially as water scarcity becomes an increasingly pressing issue worldwide. Some water utilities are also responsible for electric and gas services, which can offer synergies for metering companies to serve all meters on a single network. Beyond metering, Xylem will use Sensus’ analytics platform and communications networks to provide additional insight to customers that use various products, and could enhance the capabilities of products such as Xylem’s smart pump. “Combining the advanced technology and R&D expertise and the capabilities of both companies, we anticipate accelerating our delivery of innovative solutions to our customers, particularly in the area of advanced analytics,” said Decker.